There are individuals who so significantly affect the lives of others, and the social and civic organizations which impact the lives of others, that it is difficult—if not impossible—to imagine our communities and our society without them. Such a person was MJ Powell, who died in August. 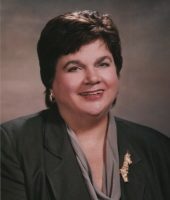 During the 1990s, MJ served on the YWCA Board of Directors, first as a member, then as an officer, and ultimately as President. That decade was a difficult time of transition and challenge for the YWCA, when the YWCA faced the daunting task of reorganization and financial revitalization to adapt effectively to urgent community needs. Without strong, steady and visionary leadership, it was possible that the YWCA may not have survived that tenuous period in its 100 years’ history. Nonetheless, survive it did—and flourished. That decade provided the groundwork for turning the YWCA into a modern organization which met the current and changing needs not only of Greater Lawrence, but over time, of communities throughout northeastern Massachusetts. It is not an exaggeration to say that MJ’s leadership of the Board, and her wise counsel to Rebecca Hall, the executive director, were crucial in the YWCA’s becoming the most prominent voice for issues impacting the lives of women and girls and people of color in these communities. Becky Hall remembers that MJ was a source of invaluable support to her during that time, sharing her vision, advice, and business acumen generously and consistently. Not only did MJ give of her time and counsel, both she and Hank contributed resources which the YWCA needed to provide the services about which MJ felt so passionately committed. She wanted all women and girls to have the opportunities they needed to achieve whatever goals they could dream of. She wanted the children at the YWCA to have access to opportunities like those she and Hank had been able to provide for their own children and beloved grandchildren. She wanted the YWCA to have a voice in changing public policy which affected the lives of those whom we served—through legislative advocacy on the local, statewide, and national level. 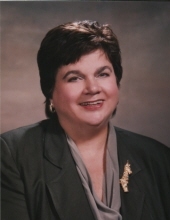 Through her leadership on the YWCA Board, as a volunteer and donor, MJ Powell touched the lives of hundreds and hundreds of women, children, and families who have come to the YWCA for help. Above all, MJ was simply a wonderful woman to know, to spend time with, to engage in conversation with. She had a great sense of humor. She was insightful. She was a good and loyal friend. We at the YWCA cannot imagine our YWCA without her. Services will be held for MJ this Saturday, September 16th. For all the details, click here and you’ll be taken to H.L. Farmer’s Funeral Home for the information.